A full sister to last season’s Champion South African 2YO Filly Entisaar, speedy filly Purrari opened her account with a thrilling all the way win at Canterbury on Wednesday for the Gai Waterhouse stable. It was the second impressive 2yo More Than Ready for Gai following Evacuations win on Saturday. 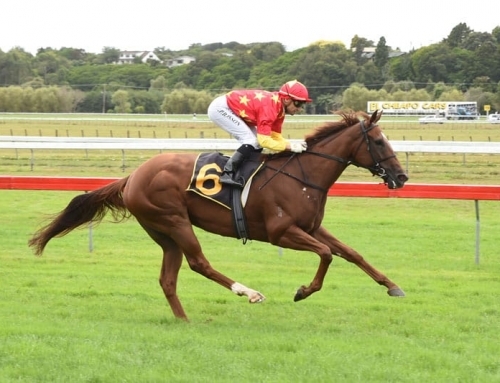 The daughter of More Than Ready (USA) failed to meet expectation when leading and fading to finish out of the placings at Kembla on debut on April 2, but turned that form around in no uncertain terms. She fired out of the gates for James Innes Jr and opened up a good lead that had her pursuers all off the bit turning for home. Snitzel colt Legerity chased gamely, but Purrari pulled out plenty when it counted to win by a neck. “We took advantage of the claim (for apprentice James Innes) and she really strung them out,” said stable representative Adrian Bott. “It was a good tough win. 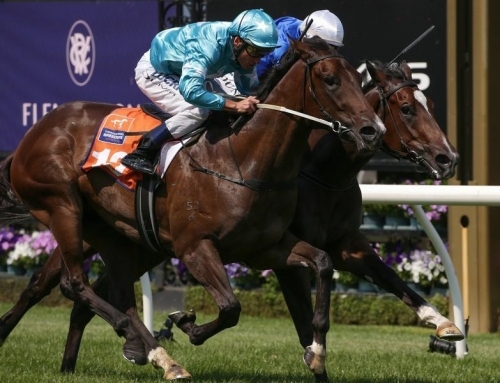 Retained to race by her breeders, Purrari was foaled and raised at Vinery and is the second foal and second winner for Group III placed Catbird mare Purrpurrlena, whose first foal is Entisaar. A $300,000 Inglis Easter Shadwell purchase from the Vinery Stud draft, Entisaar was sent to South Africa to join the stable of Mike de Kock and won three races last season highlighted by the Group I Scottsville Allan Robertson Championship. Few two-year-olds can go from a provincial maiden win on debut to Group One success in one preparation but that is the plan Gai Waterhouse has for her impressive youngster Evacuation. Evacuation ran up to stable expectations – and then some – when he had his first race start at Kembla Grange last Saturday. Yet another exciting prospect for veteran sire More Than Ready, Evacuation had shown abundant talent recording two wins and a placing in three barrier trials since December. His thorough preparation paid dividends at Kembla Grange when he raced to a soft four lengths win over 1000m under little pressure, running a fast 56.2 seconds and an exceptional final 600m in 32.76 seconds. 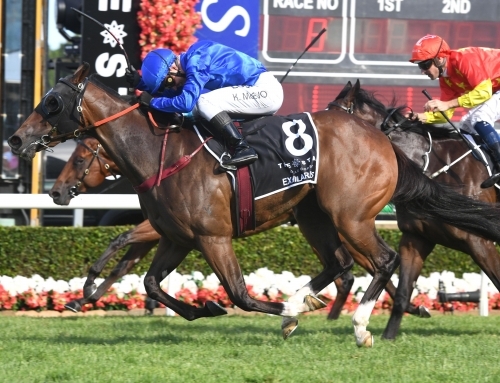 While he did it on a good surface, his times compared favourably to the figures Exosphere recorded in his debut win at Kembla Grange last season when he won over 1000m on a slow surface in 58 seconds, taking 33.45 for his last 600m. Evacuations’s race was the only 1000m event on last Saturday’s program but to confirm the quality of his performance no other Kembla Grange winner on the day went faster than 33.34 seconds for their last 600m. Evacuation is raced by Queensland stud owners Ron and Debbie Gilbert and they would obviously love to see their colt race at the Brisbane carnival where he looms as a worthy candidate for the feature juvenile races, the G2 BRC Sires Produce Stakes (1400m) and G1 JJ Atkins over 1600m.